Deluxe Mini Store 3'0" x 2'1"
Lockable single door, deluxe mini store 3’0 x 2’1”, perfect place to store all your essentials in one safe place also includes a shelf for added storage space. 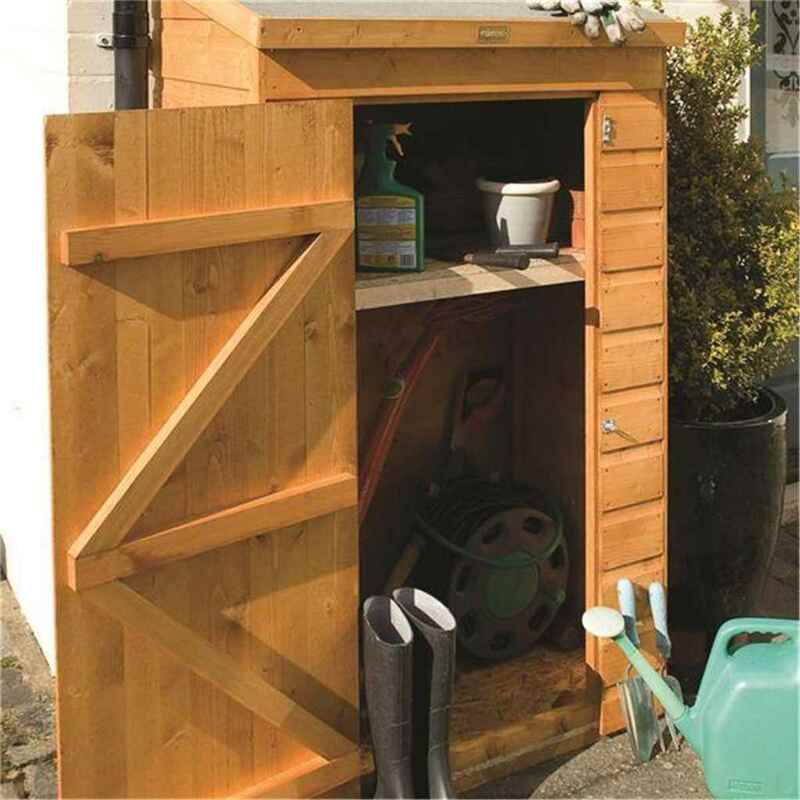 The Mini Store is an excellent storage solution for your garden items. 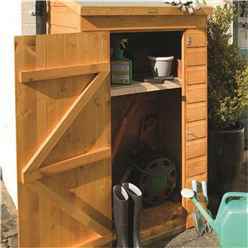 The store is constructed from high quality tongue and groove shiplap cladding which is supplied with a free factory basecoat dipped in a honey brown finish. The high quality floor joists give the store a solid and sturdy feel and allow a larger load capacity making the store ideal for storing larger heavy items. The floor and roof are constructed from Solid OSB Board.